Even though the Xbox One X isn’t on the market just yet – and it’s still got a few months before it gets there – one research firm believes it’s going to mean big things for it within a matter of years. With that, DFC believes that the system is currently forecasted to sell 17 million units over the next few years, by the end of 2021. That would bring the overall amount of units sold within the Xbox One line-up to 63 million units. Now, that would obviously be good news for Microsoft, especially considering that it’s been looking for an advantage over its competition of PlayStation 4, which currently sits just over 60 million units sold worldwide, with 20 percent of that sales number coming from PlayStation 4 Pro. But still, are that many people going to be interested in the Xbox One X? Sure, it got tremendous buzz during E3 week, and the thought of pure 4K gaming with the system is sure to have a few people drooling. That said, not everyone has the money to buy a $500 system right now, and not everyone is making the jump to 4K just yet. The market could change over the next few years, so the possibility is there that the Xbox One X could reach that kind of success. Guess we’ll find out. 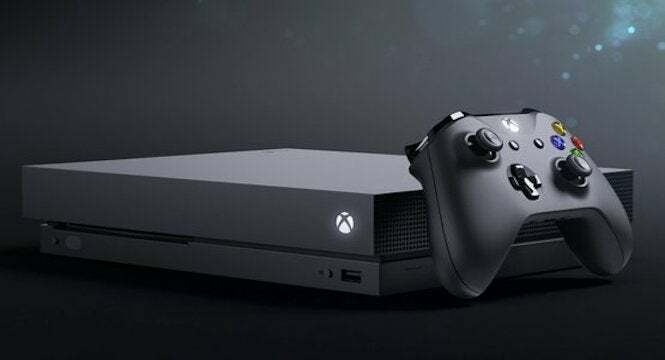 The Xbox One X arrives on November 7th for $499.